It's bug time once again! I've never seen this one before, on the Cable Route while pushing my bike up to the windturbine. Sorry, I didn't have my macro adapter with me, so this isn't as sharp as it could be. 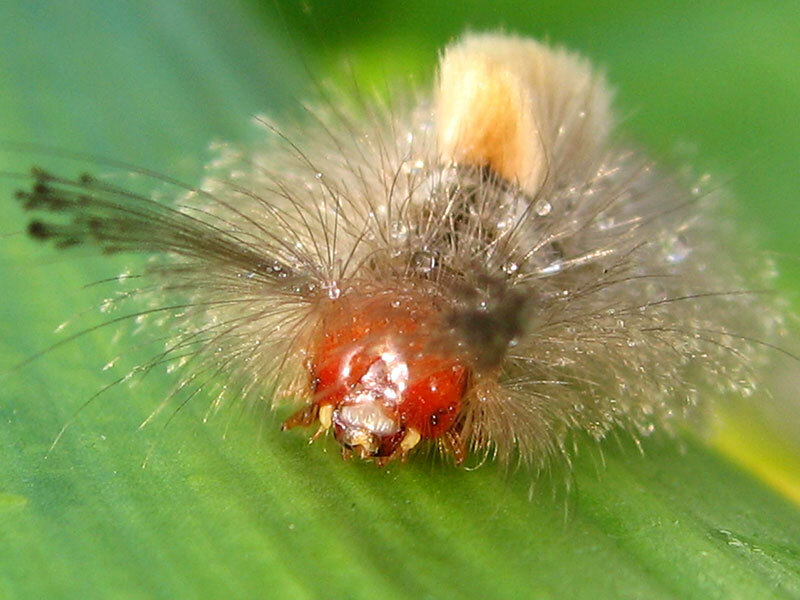 Post YOUR "Strange Bug" bug photos, please, and they might end up on the home page's Lamma Wildlife of the Day spot, like this one. It's bug time once again! I've never seen this one before, on the Cable Route while pushing my bike up to the windturbine. That beautiful insect is the tiger beetle, Cicindela aurulenta. It is supposed to be a predator but one night I found about five of them gnawing on the leaves of a plant. I'm finally getting slightly better bug shots, for example today in the Lamma Forest, being distracted while all the tree planting was going on. 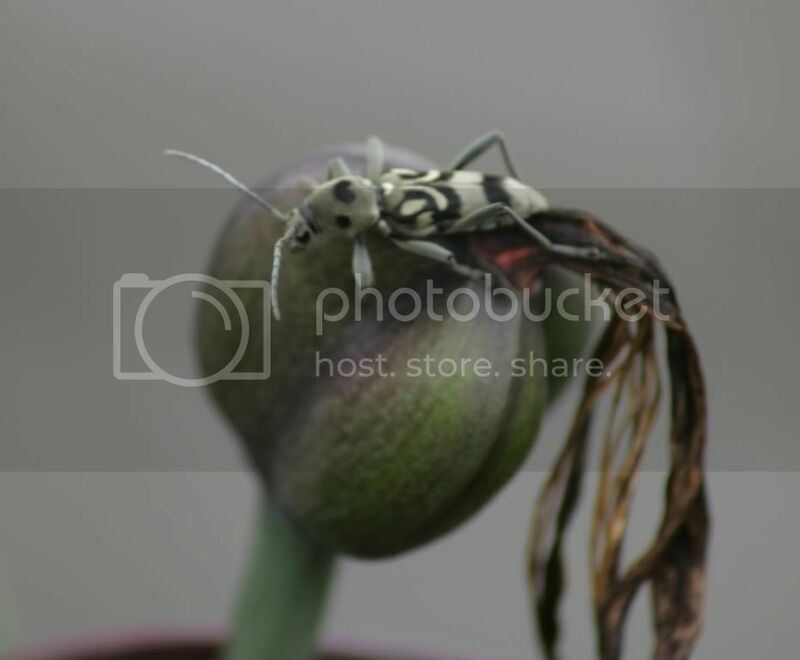 A most unusual "Weird Bug", an albino cockroach, submitted by Ewa. Thanks! Sitting on a windsurfing sail in the boat storage area off Power Station Beach. We've featured this beautiful bug before, about one inch body length, but I can't recall the name. Jewel bug or something like that? The first Tiger Beetle (Cicindela Aurulenta. Thanks, Nancy!) I've seen this year. They're swarming all over the paths right now, this was one of literally hundreds I saw on the way up the steps behind the Sok Kwu Wan Tin Hau Temple yesterday, on my way up to Ling Kok Shan (the hill behind Sok Kwu Wan with the TV antennas). File comment: Tai Peng spider - Arachnid Taipengiensis? Quote: "Brown Huntsman Spiders do not spin webs. They are known to hunt for food by waiting quietly on a vertical surface and then rushing forward to attack when the prey is within range. Their exceptional agility and speed and ability to squeeze through tight spaces gives them a big advantage in capturing prey and also evading predators. They feed at night and are welcome in many homes as they feed on pests such as silverfish and cockroaches. Although they are fearsome in appearance, they are easily alarmed and will often flee rapidly." They can get up to 5 inches wide, hand-size, so I really love the part about "... welcome in many homes as they feed on pests such as silverfish and cockroaches." I hope they are not common on Lamma as I'd be seriously unhappy if one of these took up residence in my apartment! I've had exactly the same caterpillar (2nd photo) on my rooftop a few weeks back and have seen these beautiful (fake) blue eyes before. What will this turn into? A moth quite common on Lamma, I believe? Photo from today, inside the Lo So Shop these critters were crawling all over our table. I don't think I've ever seen them before. Last edited by Lamma-Gung on Mon Apr 16, 2012 12:13 pm, edited 1 time in total. "Sean and Lauren have a spider trained to kill Roaches and here it is "
Applications to adopt a Lamma Huntsman Spider for YOUR home - this one might have babies soon after such a huge meal! - and solve any roach-killing needs you might have, please apply to Sean & Lauren directly. Anyone heard of a stinkbug that bites causing a raised rash and blisters, I knocked one off my arm and recognised the smell, over a week later and the itchy spots have nearly gone. 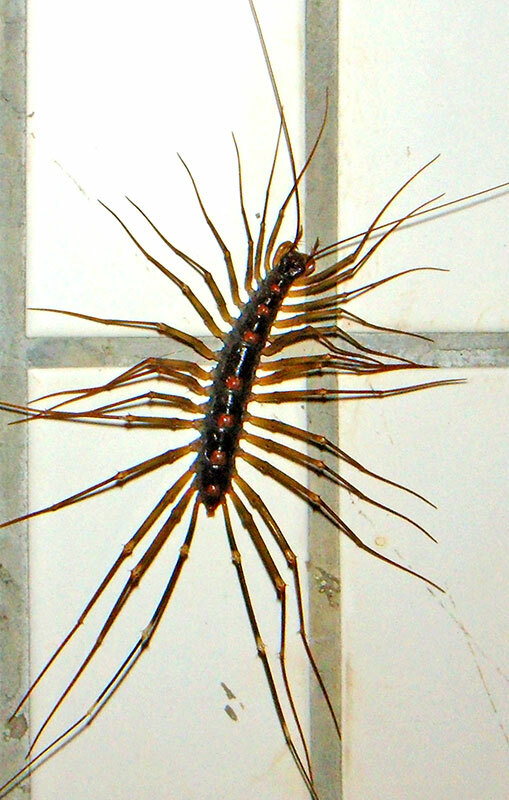 That centipede looks pretty scary though!! I've never seen one of those. How big was it? Reminds me of that creature in the movie 'The Tingler' with Vincent Price! Scared me shitless as a child. The body only was about 3-4 centimeters long, 1.5 inches, according to Icey who found it scurrying it on the floor. As a typical Lamma Lady, she didn't freak out, but grabbed her mobile to take not just 1, but 2 shots to show us. Ah, found it, higher up in this very topic, about 10 inches long including legs, crawling up a tiled Village house wall just outside our flat.